In early nineteenth-century Britain, there was unprecedented interest in the subject of genius, as well as in the personalities and private lives of creative artists. This was also a period in which literary magazines were powerful arbiters of taste, helping to shape the ideological consciousness of their middle-class readers. Romantic Genius and the Literary Magazine considers how these magazines debated the nature of genius and how and why they constructed particular creative artists as geniuses. Romantic writers often imagined genius to be a force that transcended the realms of politics and economics. David Higgins, however, shows in this text that representations of genius played an important role in ideological and commercial conflicts within early nineteenth-century literary culture. 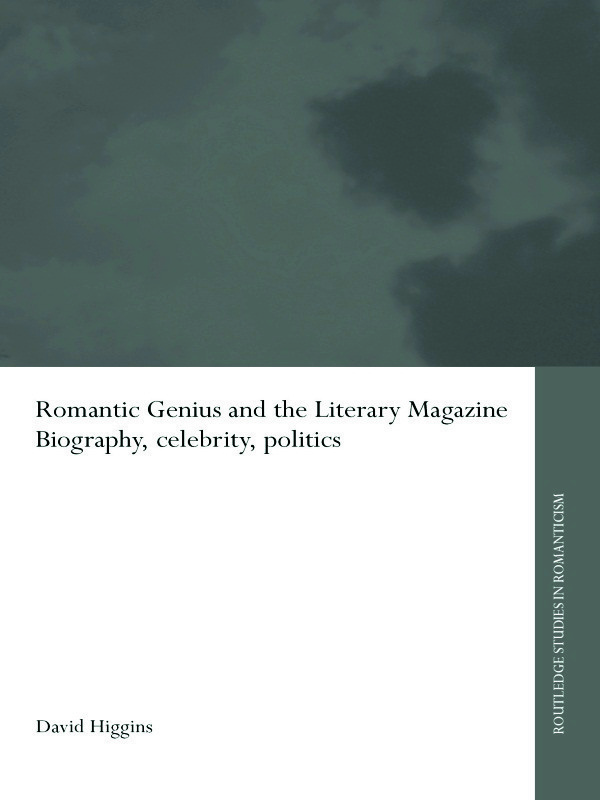 Furthermore, Romantic Genius and the Literary Magazine bridges the gap between Romantic and Victorian literary history by considering the ways in which Romanticism was understood and sometimes challenged by writers in the 1830s. It not only discusses a wide range of canonical and non-canonical authors, but also examines the various structures in which these authors had to operate, making it an interesting and important book for anyone working on Romantic literature. David Higgins is a Lecturer in English at University College Chester, and has published articles on Wordsworth, Hazlitt and nineteenth-century constructions of race.